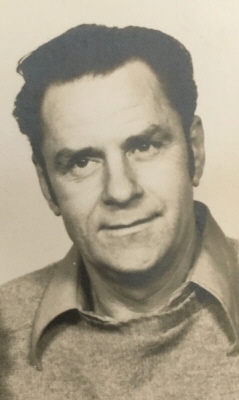 MANCHESTER-BY-THE-SEA - John F. Bachman, 92, died Wednesday, August 22, 2018 at his home surrounded by his family following a brief illness. He was the beloved husband of Ellen J. (Curran) Bachman. Born in Beverly on October 30, 1925, he was the son of the late Frederick and Effie (Stidstone) Bachman. A lifelong resident of Manchester-by-the-Sea, he was a graduate of Story High School class of 1944. A U.S. Navy veteran of World War Two, he was honorably discharged on July 14, 1946. John was also a proud member of the Amaral Bailey Post #113, American Legion in Manchester-by-the-Sea. John was employed for the U.S. Postal Service in Manchester-by-the-Sea for thirty years before his retirement. In addition to his wife of fifty-nine years, he is survived by his four children, John F. Bachman and his wife, Kathleen, Michael Bachman, Elizabeth Decker and her husband, Mark and Susan Bachman; three grandchildren, Jonathan Decker, Tyler Bachman and Kailey Bachman; one brother, Francis Bachman and his wife, Dorothy; two sisters Isabelle Woods and her husband, Paul and Nancy Bachman and several nieces and nephews. He was also predeceased by his twin brother, James Bachman and sister, Elizabeth Ann Bachman. His funeral service will be privately held at the convenience of the family. Expressions of sympathy may be made in his memory to the charity of one’s choice. Arrangements are under the direction of the Campbell Funeral Home, 525 Cabot St., Beverly. Information and condolences at www.campbellfuneral.com . To send flowers or a remembrance gift to the family of John F. Bachman, please visit our Tribute Store. "Email Address" would like to share the life celebration of John F. Bachman. Click on the "link" to go to share a favorite memory or leave a condolence message for the family.